The Fleming Island Office is located on Highway 17 between 295 and 220 and is conveniently located to Orange Park, Green Cove Springs, Middleburg, Argyle and Oak Leaf Plantation. The agents of the Fleming Island office are extremely helpful, well trained, and work hard to provide the best real estate experience to their clients. They truly enjoy their careers at BHHS FNR and consistently receive high praise from their clients regarding their abilities to handle every real estate transaction in the most expedient and professional manner. Most of the agents reside in Fleming Island and Orange Park, however; they are extremely knowledgeable of all Northeast Florida real estate markets and specialize in every area including the greater Jacksonville area, Nocatee and World Golf Village to name a few. Linda came to Florida Network Realty as a REALTOR in 2009 after a 15 year career with two major healthcare software companies where she held roles of Vice President of Operations and Vice President of Service Delivery. As VP of Service Delivery she led a global team of healthcare professionals with offices in the UK, Canada and across the US and was responsible for training, project management and high profile client retention for hundreds of clients around the world. As a REALTOR, Linda worked with numerous clients including investors, first time and move up buyers and sellers and families relocating to Northeast Florida. 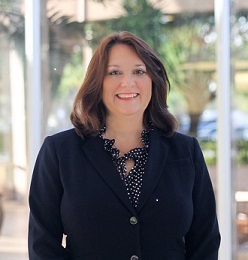 With proven results in Sales and Leadership she accepted the role of Manager of the Fleming Island Office in November 2013. She became a licensed broker in June 2014 and enjoys working as a non-compete broker. She teaches several real estate classes each month and provides on-going training and coaching to her team daily. She was born in Tullahoma, TN and moved to Florida when she married her husband John. They have 3 children. She relaxes by spending time with her family including her 2 grandchildren. Linda loves to travel and enjoys trips to planned destinations as well as a quick spontaneous weekend adventures. She enjoys cooking, crafting and working with the youth of her church.